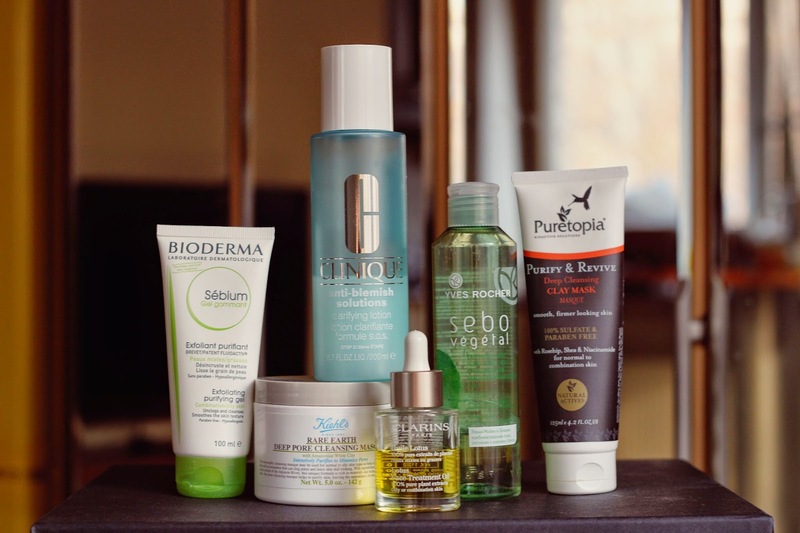 Clearing Up The Face From Imperfections In Advance. Every product I mention here is good on it's own, but it's the system that makes them even more effective. And the key word of this post is "in advance", non of the products help to get rid of blemishes and imperfections instantly. 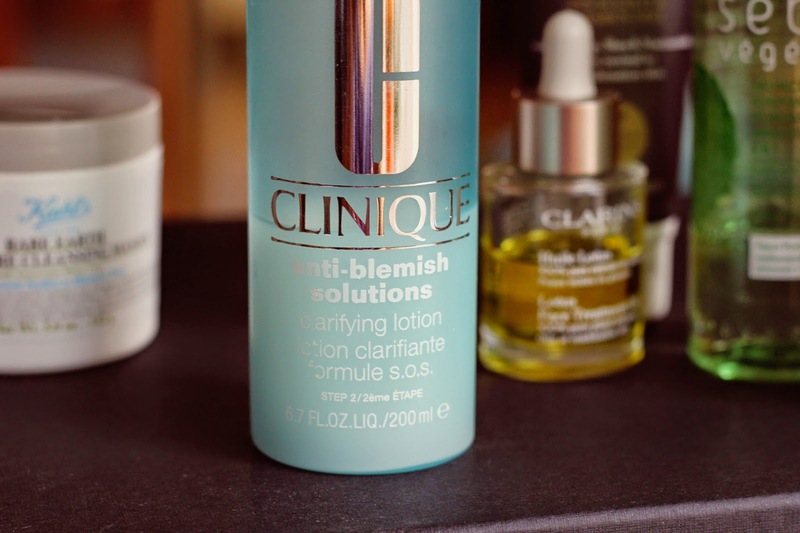 However the fastest spots cure for me is Clinique Anti-Blemish Solutions Clarifying Lotion. I have dry skin and I would not recommend ever applying it all over your face if you have dry skin too. It will dry the hell out of your skin, well it dries out even oily skin so beware. But what I found is that applying it with cotton stick directly to the blemish or problem zone makes life easier. That way you'll effectively get at least a flat blemish or even clear skin the next day without dry patches and irritation. This lotion definitely worth having on hand no matter what. 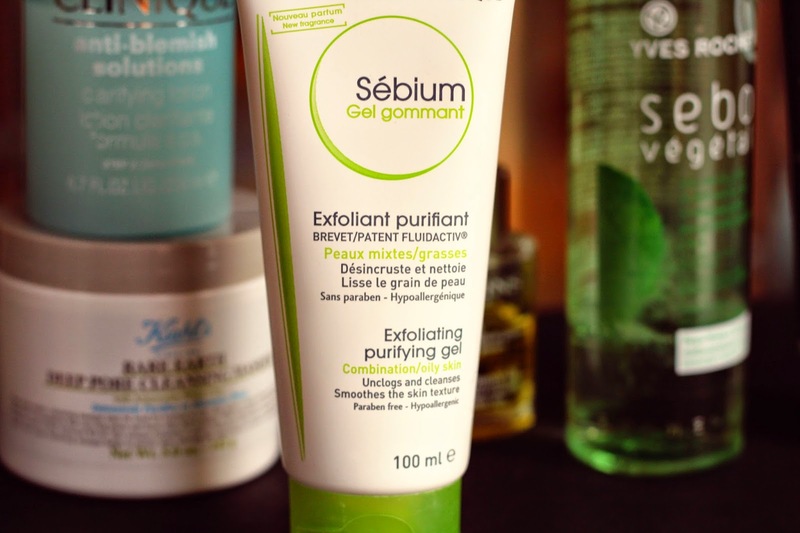 Another step in my anti-spots skin care routine is this gentle Sebium Exfoliating Purifying Gel from Bioderma. 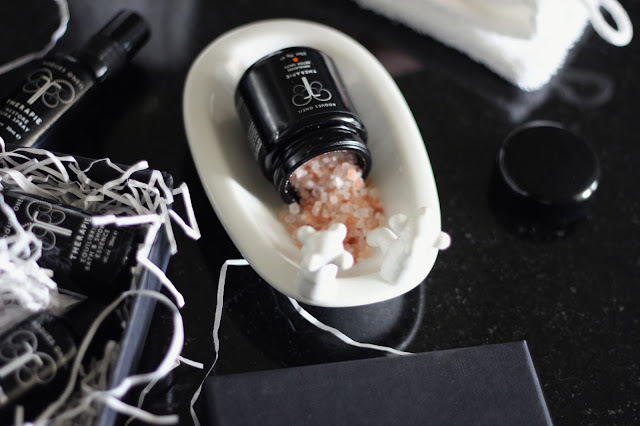 This is a regular gel-like face scrub, very gentle and suitable for every day use. I'm not using it every single day, but as additional step 3-5 times a week it giver my skin something little extra. This product for me is totally replaceable, but it does the job and it's low in price. But if you want something to really polish your skin and get rid of blemishes even faster try this Clinique Exfoliating Scrub . 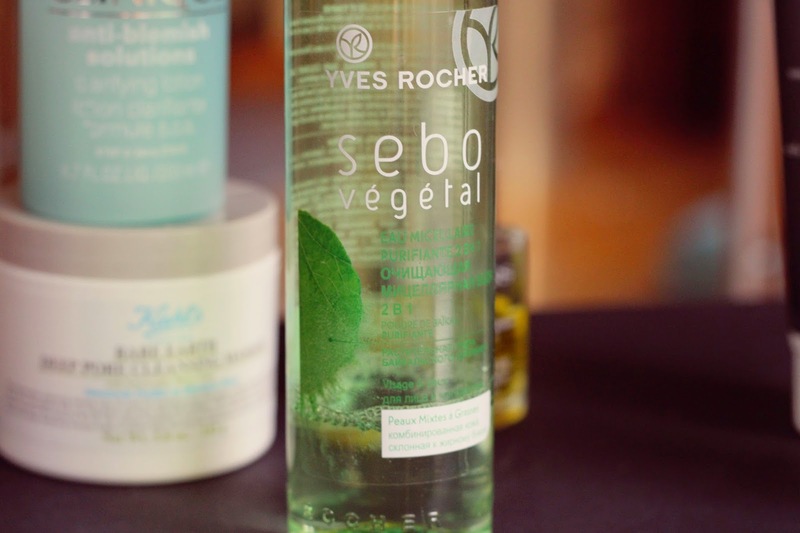 Yves Rocher Sebo Vegetal Purifying Micellar Water 2 in 1 is also something I don't use every day, but I like the way my skin feels after it when I do. Sometimes I use it just on it's own during the day to refresh my skin and to clean it if needed. Also inexpensive product that combines micellar water and toner in one bottle for a quick refreshment. 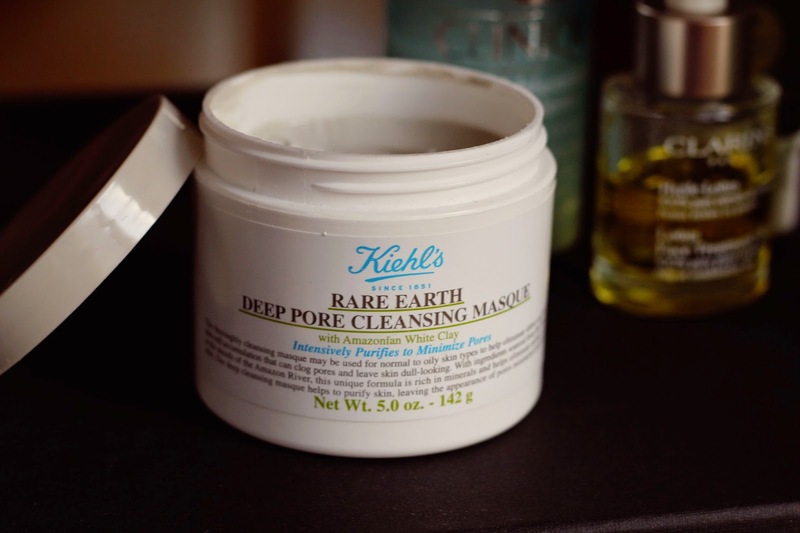 Well, all beauty bloggers are raving about Kiehl's Rare Earth Deep Pore Cleansing Masque and there's a reason fore it. I can say for sure that using this mask twice a week helps a lot with fighting imperfections. But don't expect it to work after first use. I didn't see any significant changes until the end of the moth but it was all worth it. I've been using it all october and I didn't have any breakouts, even hormonal! 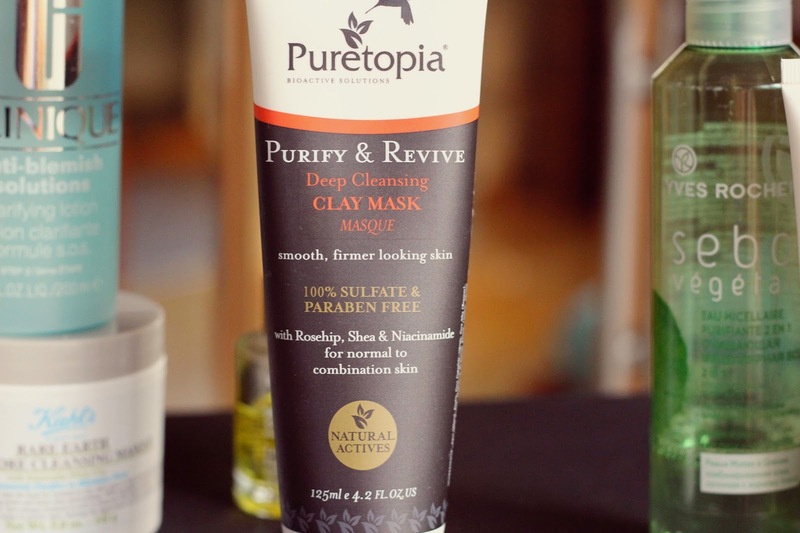 Budget version of the Rare Earth mask is Puretopia Purify & Revive Deep Cleansing Clay Mask. It's just as good as Kiehl's one and it also contains lots of good ingredients, it's organic and it contains oils that prevents it from cracking. I love them both, so if you're looking for an inexpensive clay mask try this one. 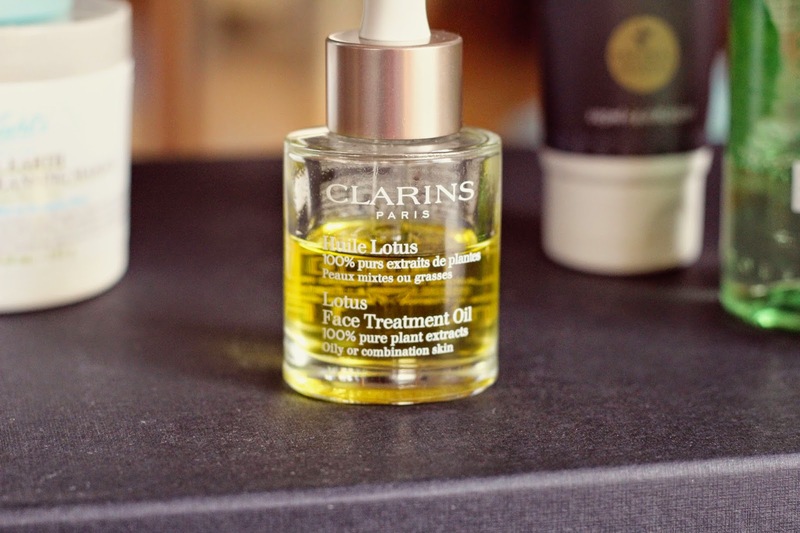 Last but not least is the Clarins Lotus Face Treatment Oil. It is my final step in anti-spots routine and it is ah-mazing! I've also tried Blue Orchid one for dehydrated skin and I loved it just as much as I love this one. The smell, the texture, the feeling on the skin - everything is perfect. It has no parabens or silicones in it and it smells luxuriously. This oil is very good at moisturising and balancing the skin, it also fits dry skin. Originally I bought it for my boyfriend, and he's also been enjoying this oil and noticed a difference in the way his skin looks. But I've been stealing it from him at least twice a week. If you still think that oil will clog your pores and make your skin oilier, give this oil a try, it works. Thanks! I love them both, Caudalie and Clarins face oils, but as for me Clarins is better for the winter time as it's more nourishing and rich. And it smells heavenly, at least two that I've tried (blue orchid and lotus).